Has Madison Avenue Lost Its Mind?! We just suffered through one of the worst Superbowl commercial nights ever. As an Agency we are actually outraged that the majority of the commercials aired look like an America that was idealized a long time ago as a place where there were only white people in mainstream media, and an America where other groups of people were pretty much marginalized. This evening, February 3, 2008, we actually saw a commercial on the Superbowl that featured some stereotypical Mariachi’s as comedic fodder promoting Taco Bell????!!!!! Can someone out there explain to us the rationale behind these lame, frat boy humor(less), flat commercials? I can tell you that for us the most glaring issue was the minimal diversity displayed as well as the subtly racist stereotyping in some of these ads, i.e. dancing lizards with grills, nerdy Indian guy who barely speaks English, jive talking Black athlete, Mexican mariachis, etc! AT&T had the stereotypically goofy white guy trying to be cool rapping. I guess that it is fresh insight for Madison Avenue that whites like hip hop but aren't too good with the flow….Wow! We know that the Coke spot “It’s Mine” scored well with watchers but is it us, or did it seem kind of …..um….hokey? I am willing to bet it scored well not because of its inate greatness as a concept but because there wasn’t much to choose from in terms of likability. Why are the majority of these commercials so trite, tired, and Caucasian in their sensibility? We think that Madison Avenue is out of touch and that there is increasing relevance for Agencies like ours that keep up with consumer mindsets, know where culture is going, and are organically comfortable with the notion of diversity. After watching last night I am convinced that it is time for a new crop of Agencies like ours to be given more opportunities to sell brands and products on the Grand stage. Congratulations Madison Avenue and to the companies that approved these ads for doing such a fantastic job of connecting to all of us marginalized non- white folks out there. You really showed us how out of touch you really are, and how feckless the lack of diversity and true cultural insight can really be. In a world in which consumers are becoming smarter than the marketer, it is more difficult than ever to create advertising that is effective and that connects emotionally with the consumer. Additionally, mass assumptions no longer work. Companies, agencies and institutions must understand on a deep level what is important as it relates to identity, lifestyle, and the needs of the people they want to communicate with. CultureLab was born from the understanding that consumer research and lifestyle intelligence should be at the forefront for those who want to develop effective marketing campaigns. Everything we do is rooted in our original mission and as market dynamics change with increasing frequency, companies rely on us to help them navigate. We love helping companies, institutions, and brands develop the inspiration that sparks connection across the incredibly hyper-fragmented, “long tail” media environment as well as the incredibly complex and growing world of “tribes of interest”. CultureLab’s primary mission is to help our clients connect more effectively with the people that are most important to them and to help them create ongoing sustainable relationships. 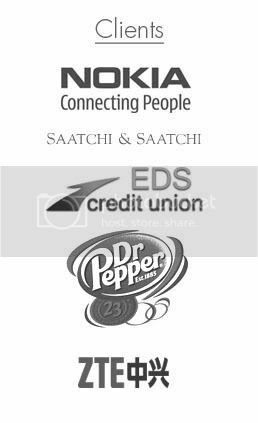 Our clients include Nokia, Saatchi NY, Dr. Pepper national account sales, ZTE USA, and EDS Credit Union.